Styling Overview While linen suiting has historically leaned toward bright and unique colors, our slate grey suit features a more subdued tone that pairs well with nearly any shirt and tie combination. 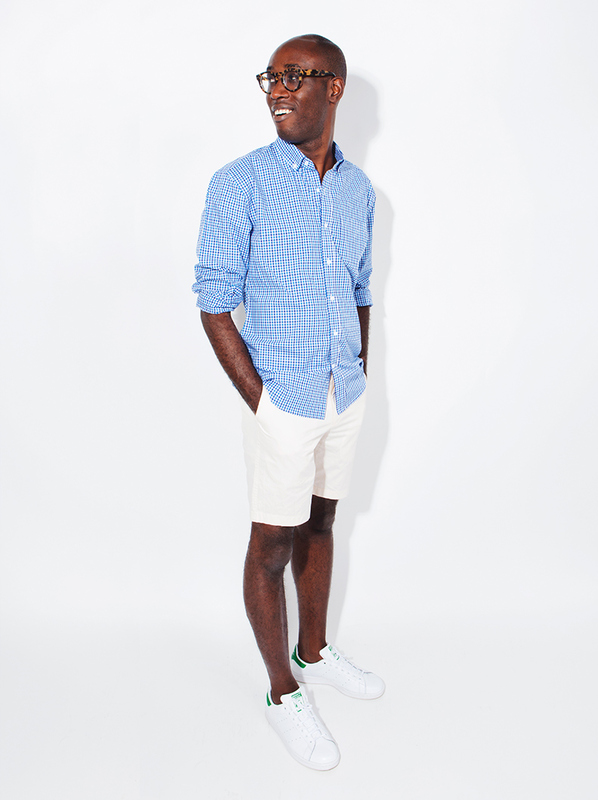 Styling Overview A classic casual style, our tattersall shirt features a pop of blue that complements our ivory chino shorts. 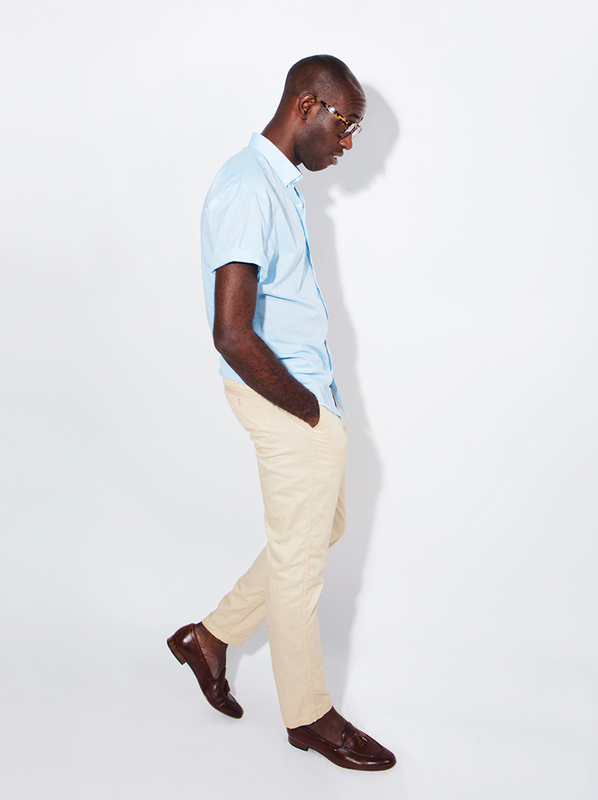 Styling Overview Our lightweight chinos and cotton-linen short sleeve shirt are everyday essentials for warm summer days. Styling Overview Who said short sleeves can’t be stylish? 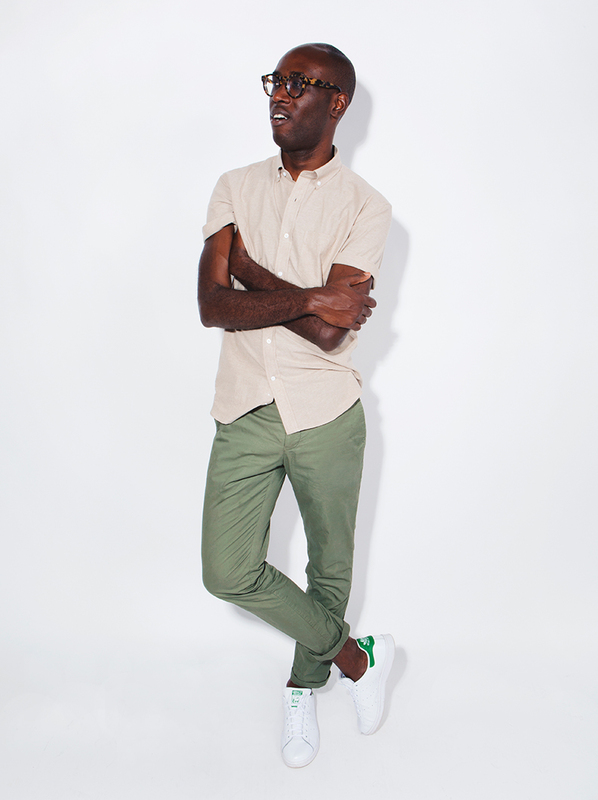 Our tan chambray shirt paired with a fatigue green chinos is a casual and playful look for summer. Styling Overview This taupe, lightweight wool suit pairs well with a clean oxford shirt and oxford shoes, creating a sharp outfit for the office or after-hour drinks. 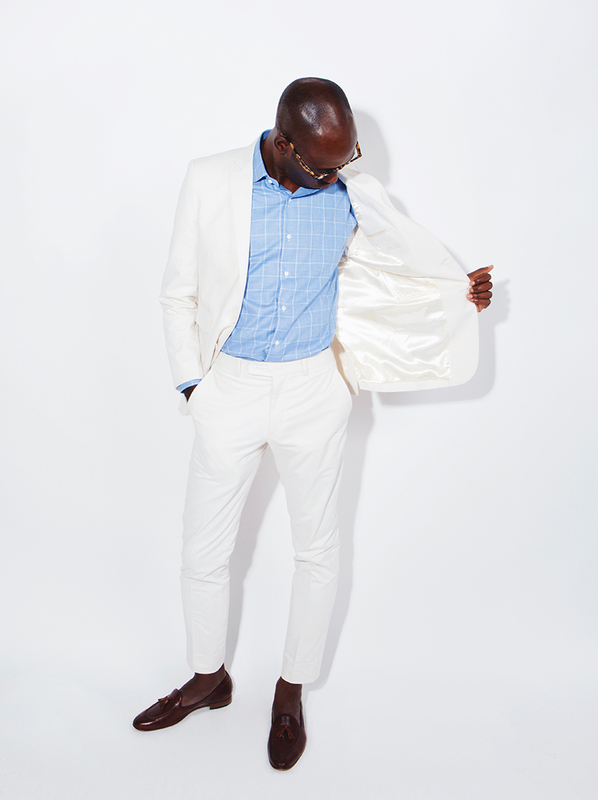 Styling Overview Styling your suit separates makes for a great summer look. 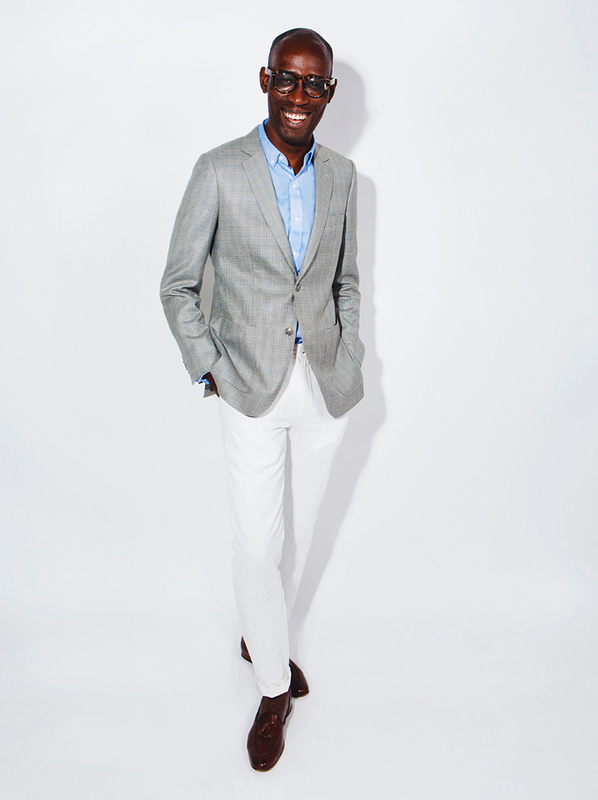 A classic houndstooth sportcoat balances well with a soft pair of white linen chinos and an oxford cloth shirt. 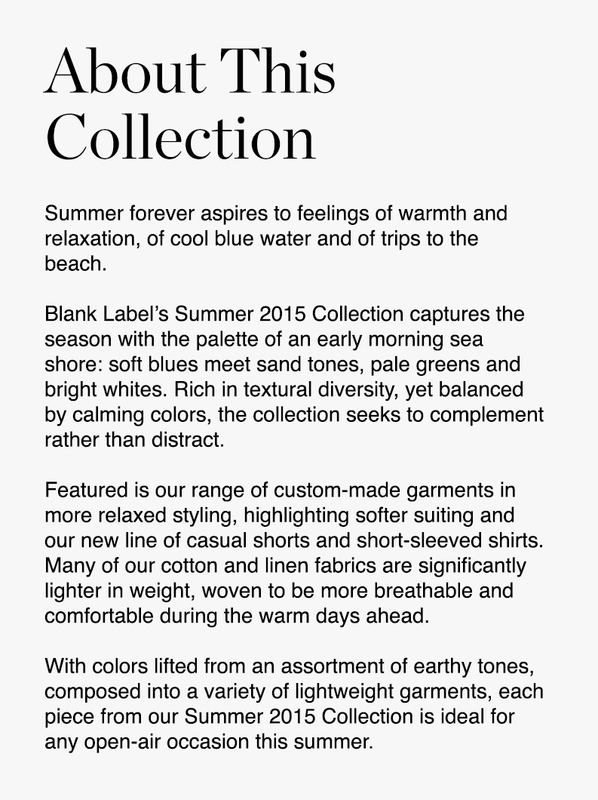 Styling Overview During the summer, wearing lighter colors keeps you cooler. 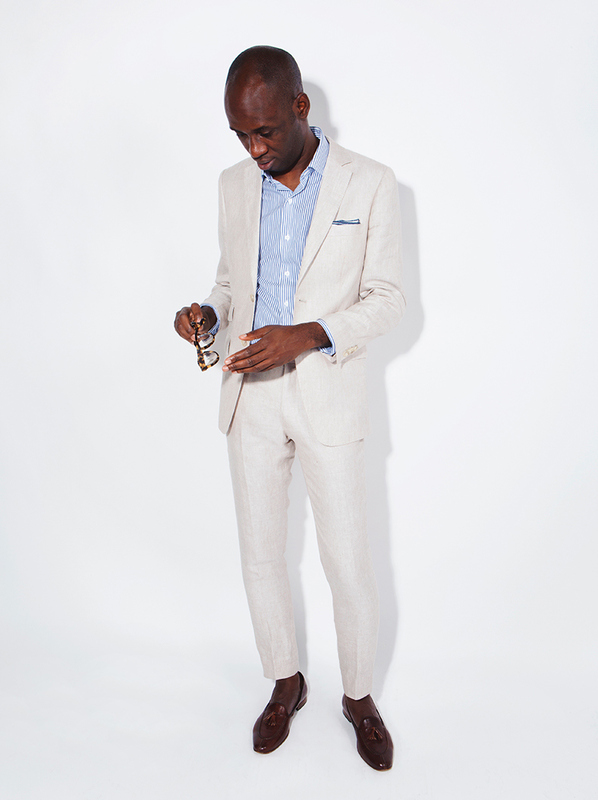 This look – a pale shell chino suit and blue shirt – is a standout choice for weddings and other special occasions. Styling Overview We’ve received many requests – cotton seersucker is our most breathable fabric this summer. 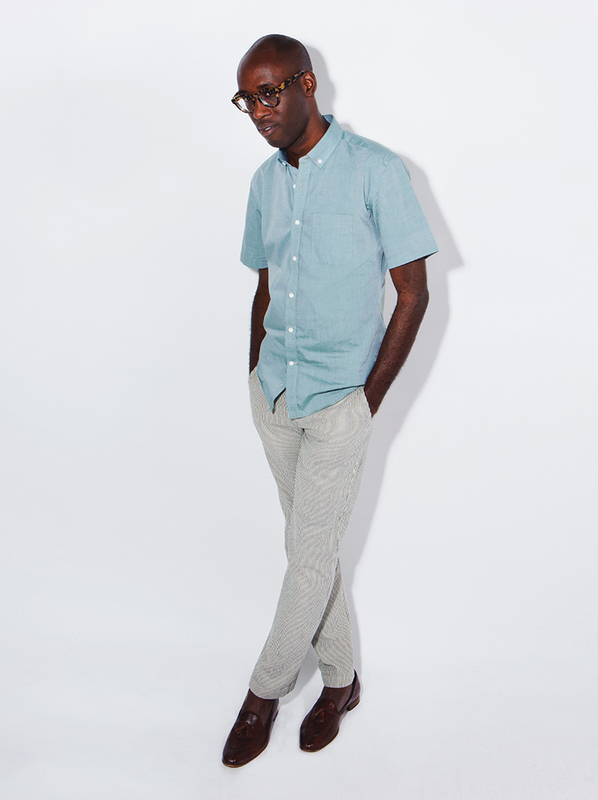 Our seersucker chinos styled and a lightweight short sleeve shirt are great for the warmest days of the season. Styling Overview This soft linen is a customer favorite – a neutral color offering great versatility. 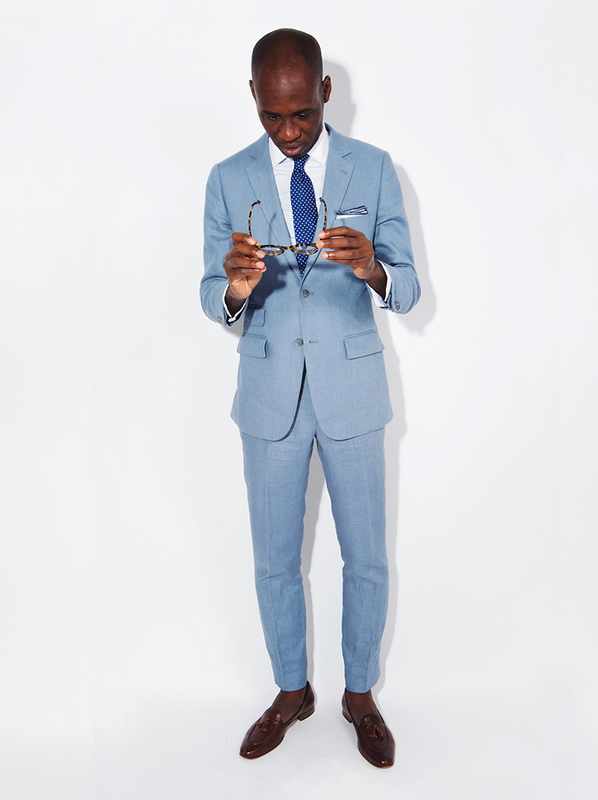 We’ve styled this suit with a classic blue dress shirt and pocket square for a put-together look anywhere you go. 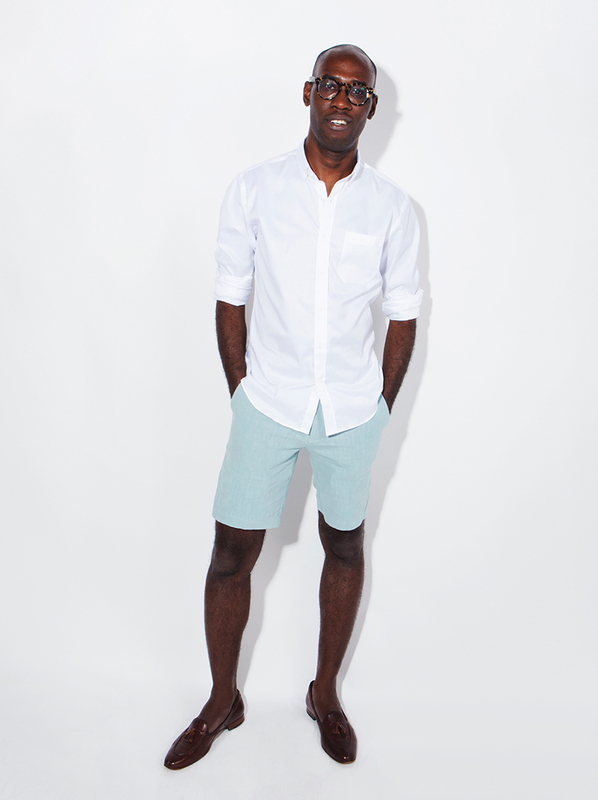 Styling Overview An oxford shirt and lightweight shorts is classic summer. But those custom-made is the new standard.